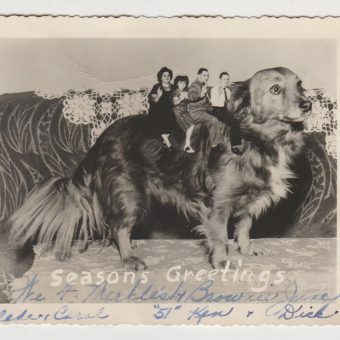 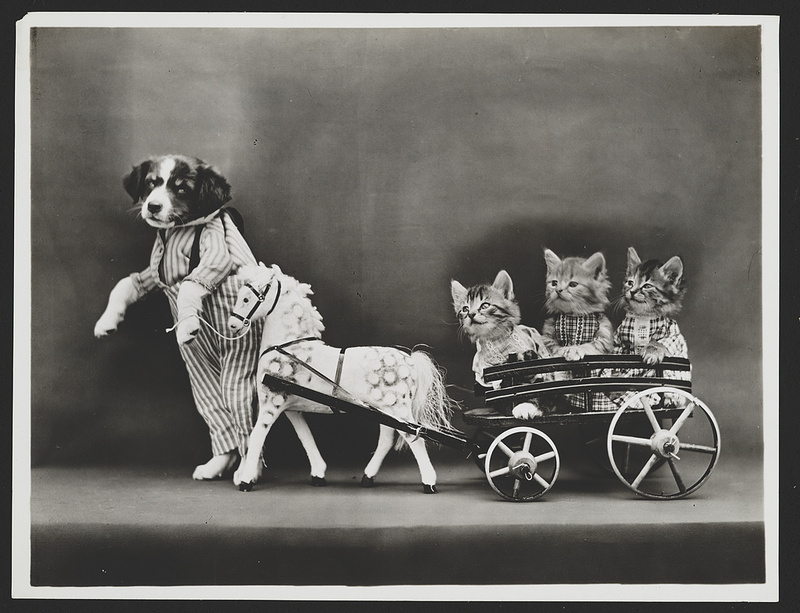 He rents all models from neighbors, breeders or pet shops. 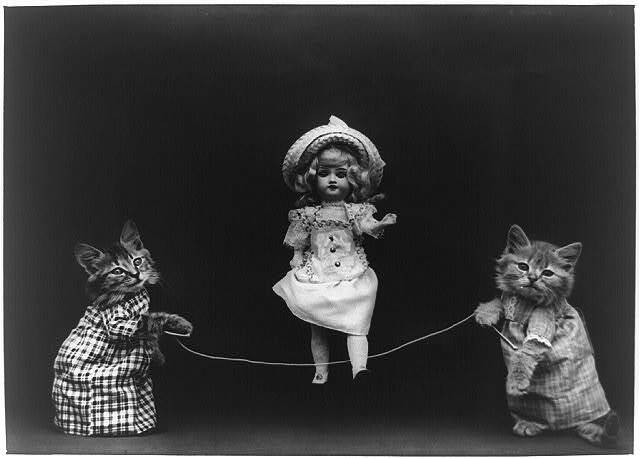 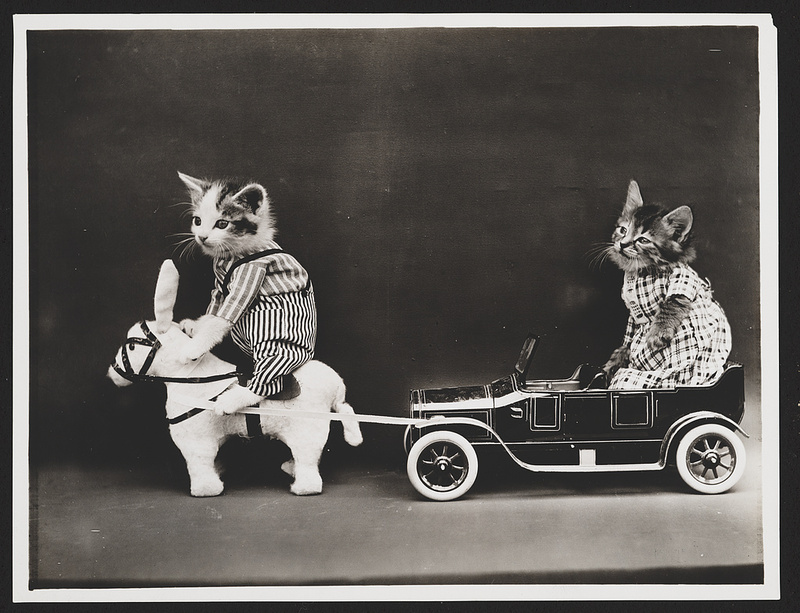 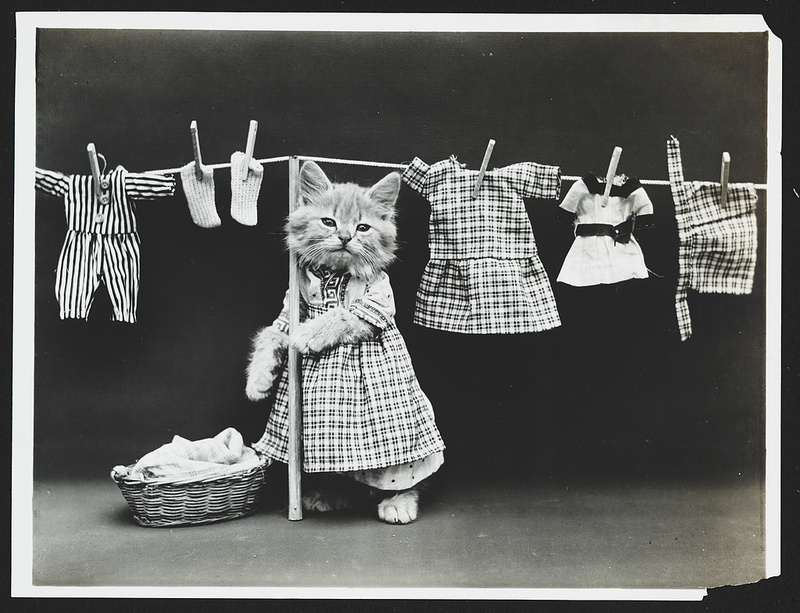 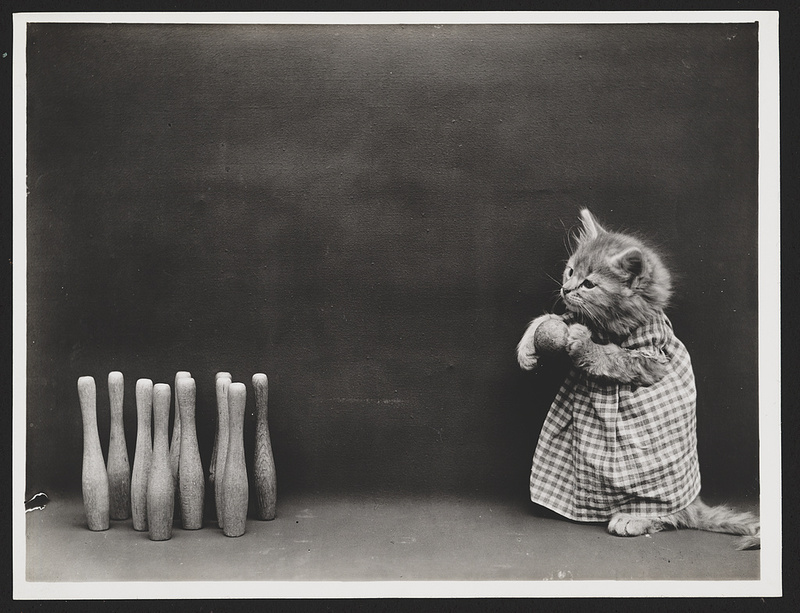 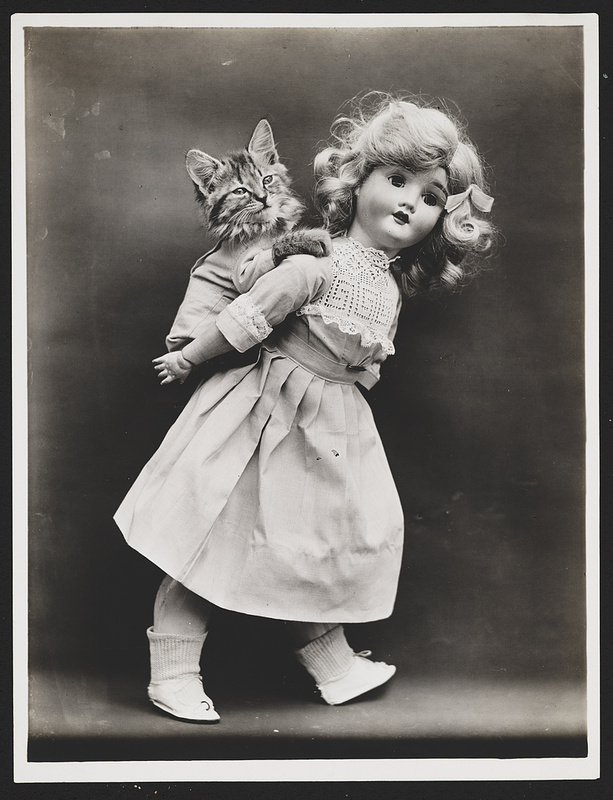 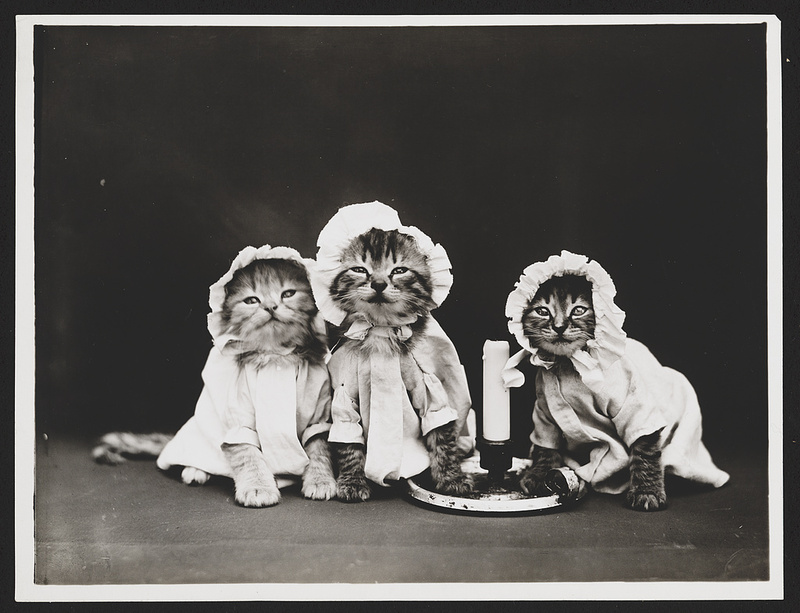 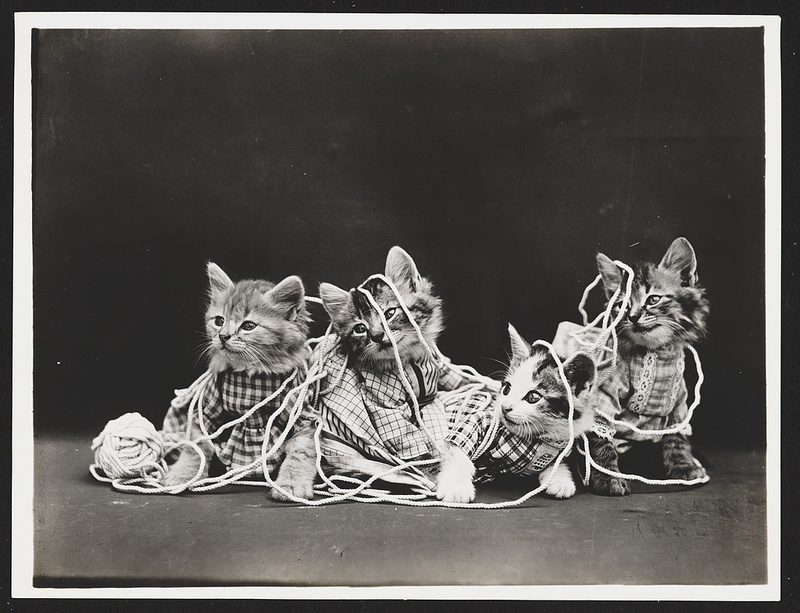 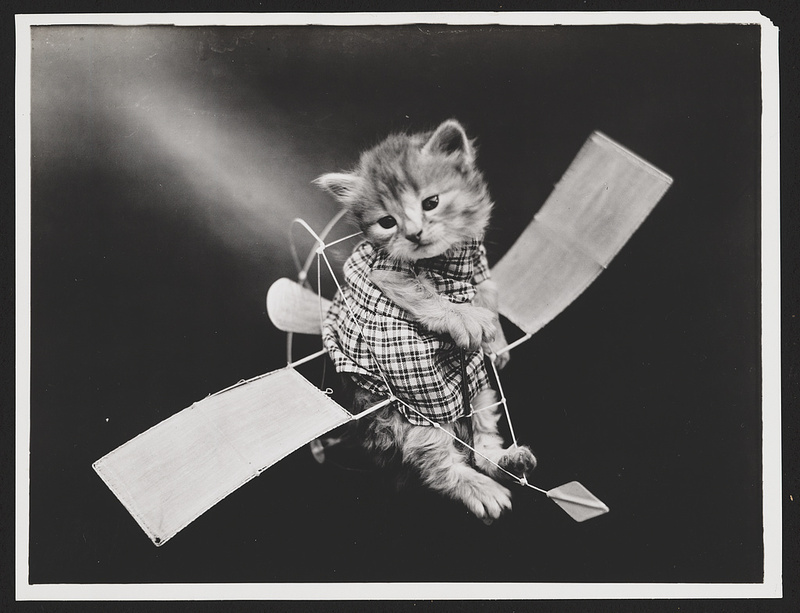 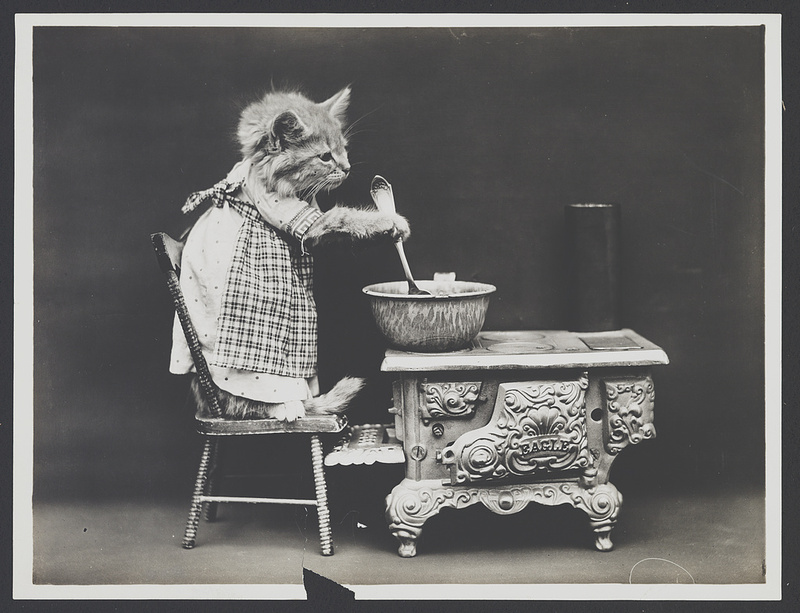 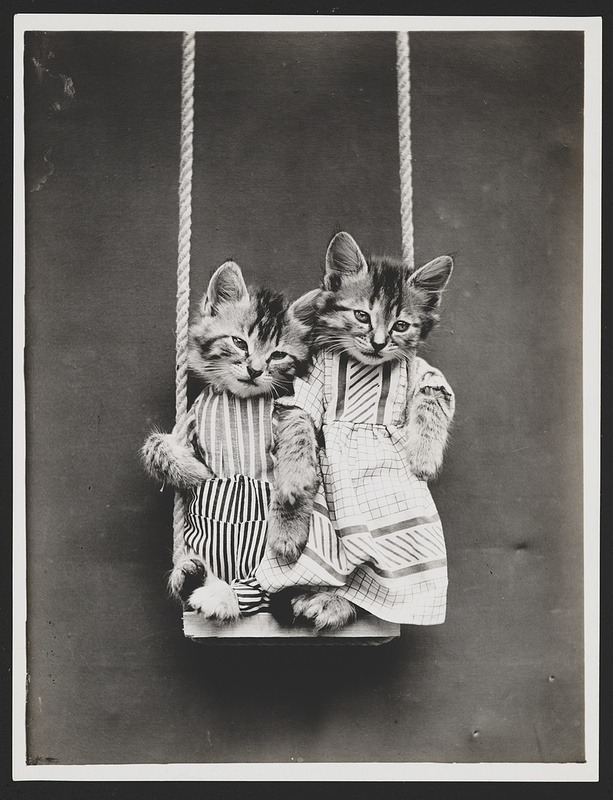 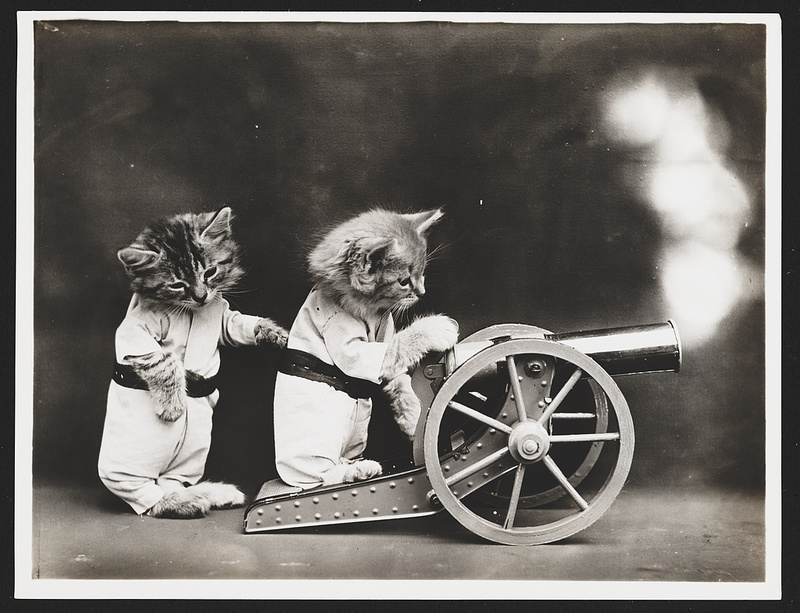 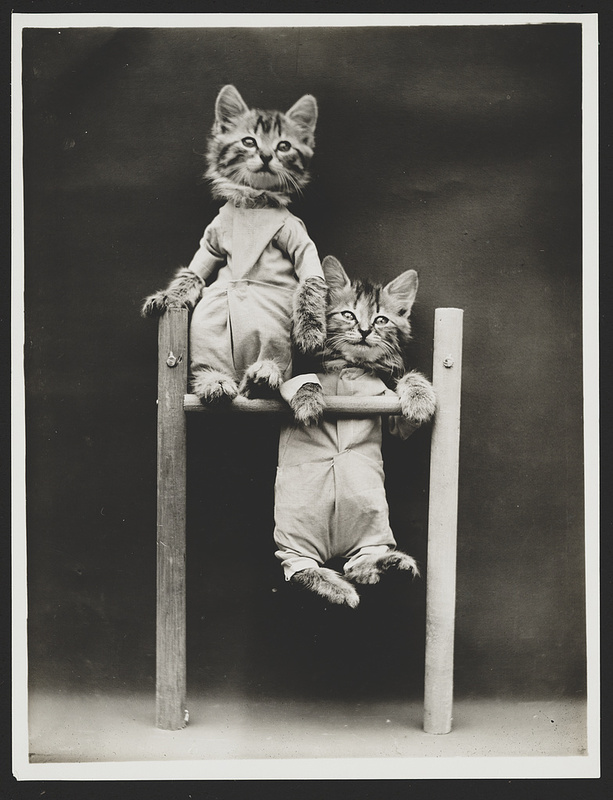 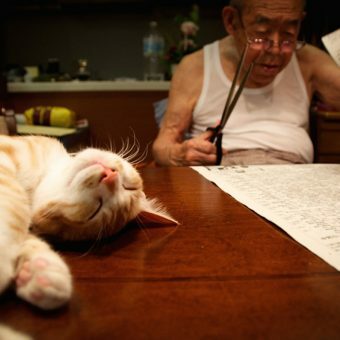 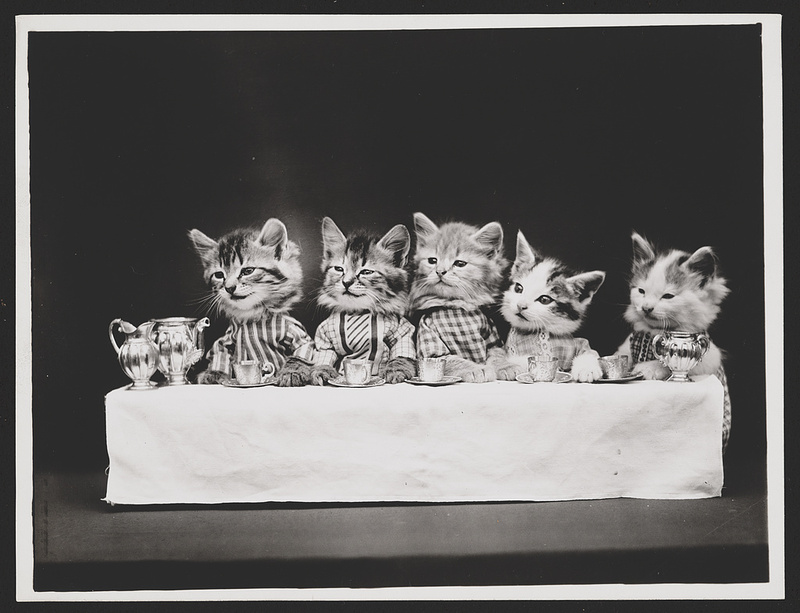 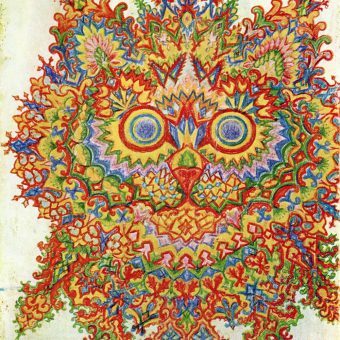 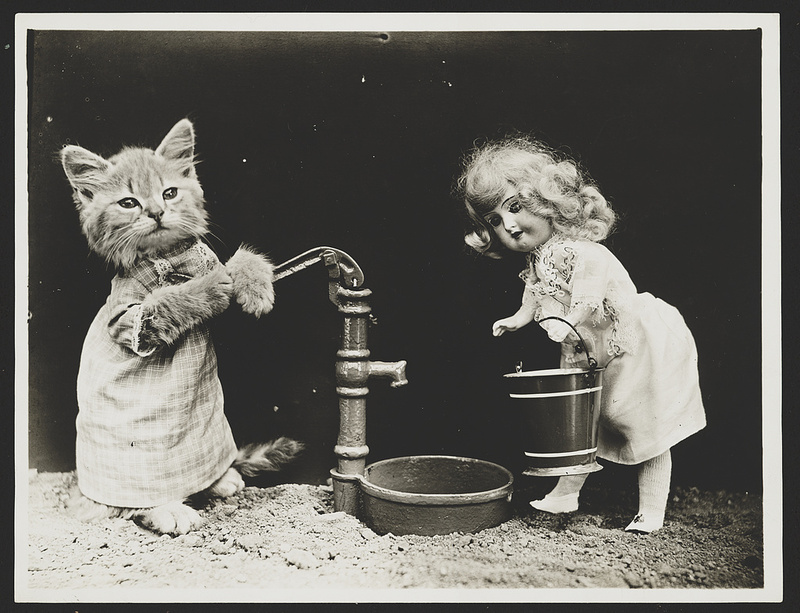 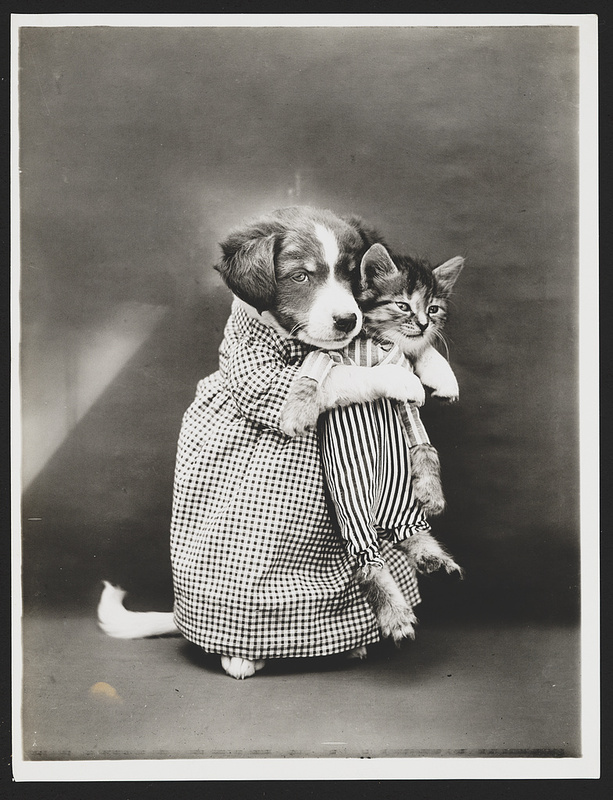 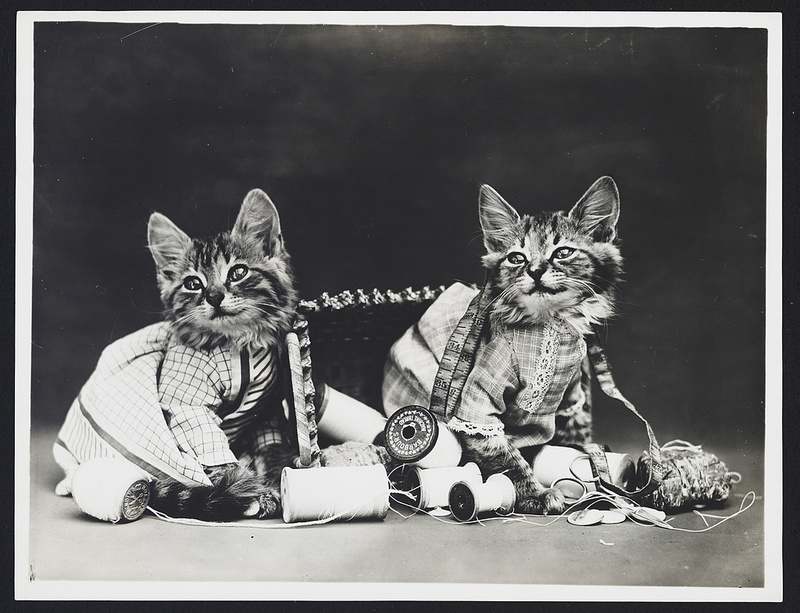 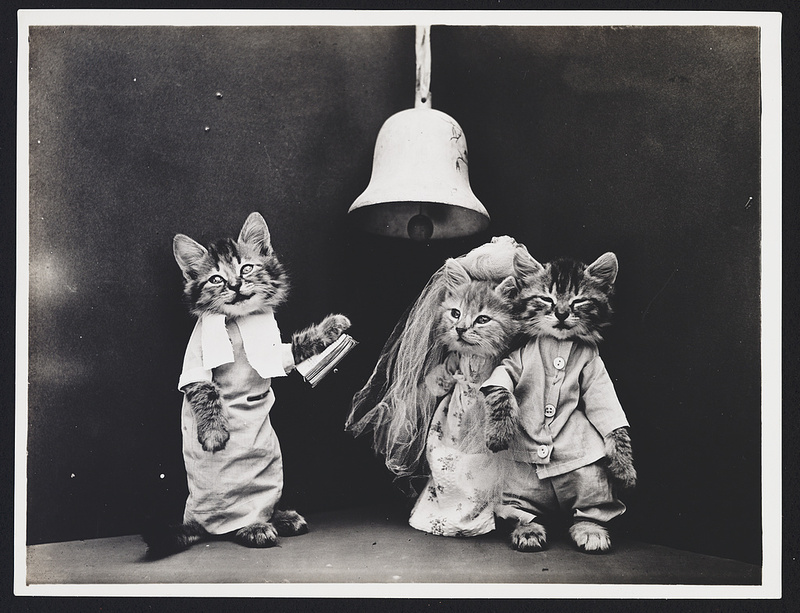 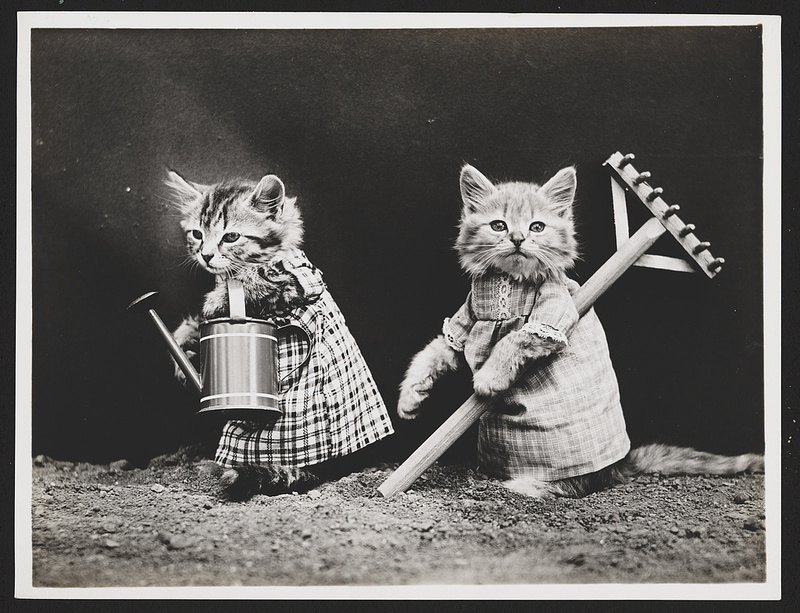 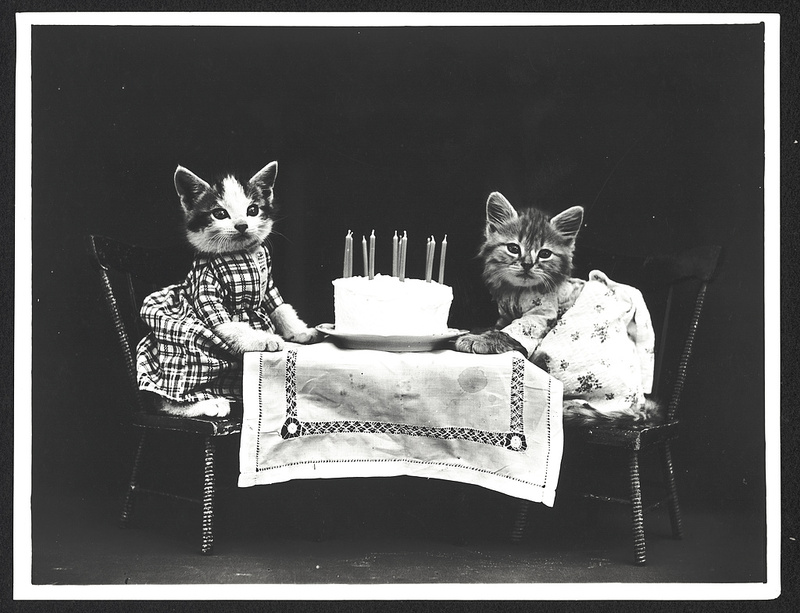 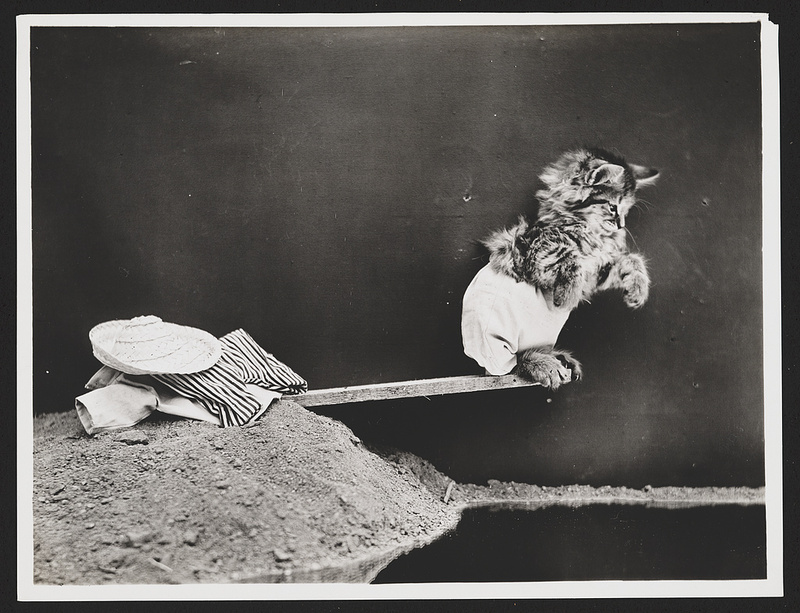 His only assistant is his housekeeper, Mrs. Annie Edelman, who sews all the costumes"
Harry Whittier Frees (1879–1953) began producing an odd and beguiling set of photographs of cats doing human things in June 1914. 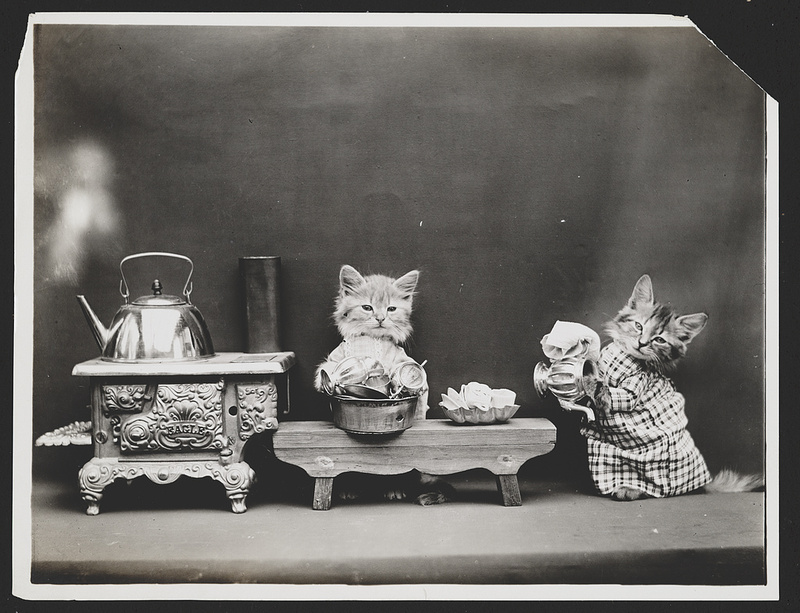 On first view I thought these tableaux the work of a taxidermist. 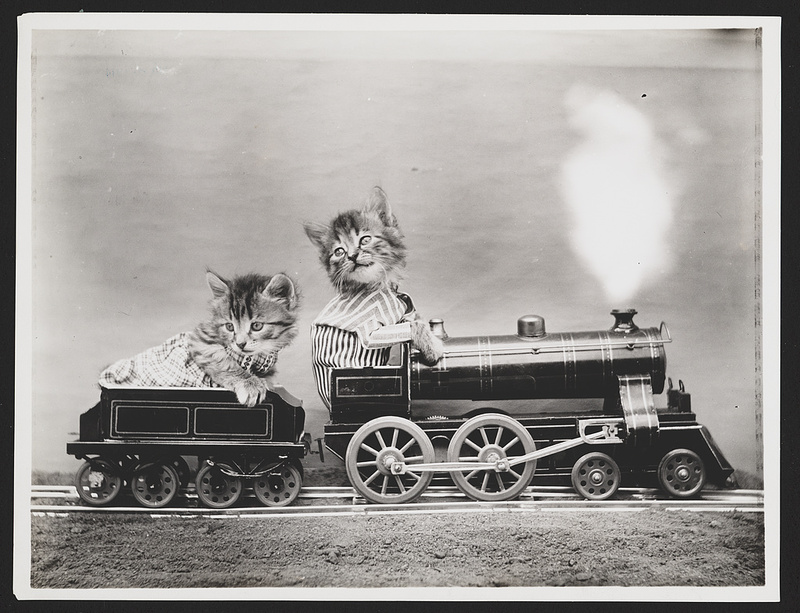 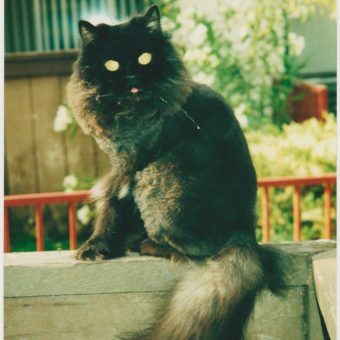 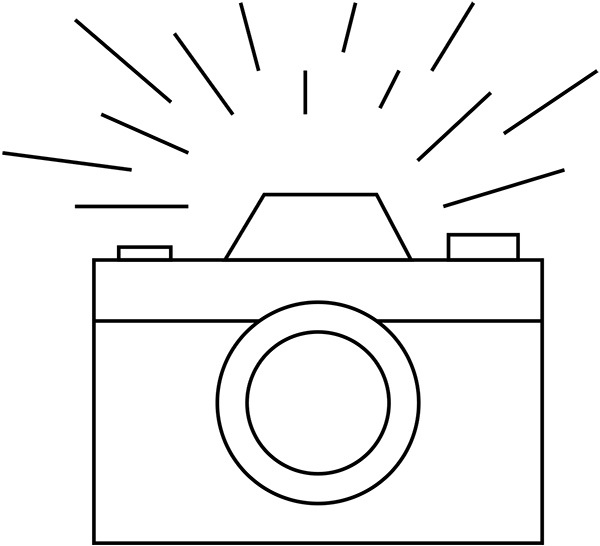 But the cats were photographed alive, dressed as people and doing things cat don’t usually do like playing instruments, riding a horse, playing skittles and flying a plane.